The storyteller has a fascinating place in our world. Storyteller Sidney Homan tells tales of growing up in Philadelphia in the 1940s and 50s accounts of Bruzzy the Bully; of John Crapp, the television salesman; of Leslie Doober and his rotten banana; of drunken Uncle Eddie, and of the Queen of the mushrooms. Sometimes comic, sometimes bittersweet, A Fish in the Moonlight illuminates the growth of both storyteller and listener. 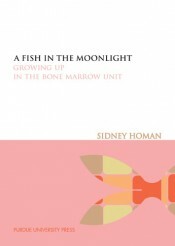 Professor of English and an award-winning teacher at the University of Florida, Sidney Homan is the author of some ten books on Shakespeare and the modern theatre, as well as two novels. An actor in professional and university theatres, he has also been Artist-in-Residence for the Arts in Medicine Program at Florida's Shands Teaching Hospital.